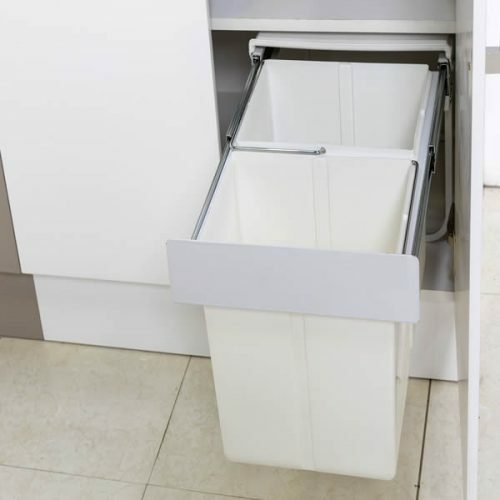 If you’re tired of dealing with your kitchen waste, then this 15L Waste and Recycling Bin will certainly make your kitchen cleaning duties much simpler. This large waste bin encourages recycling, without sacrificing on design. 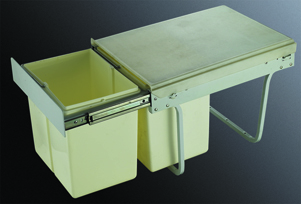 The 15L Waste and Recycling Bin is a double pull-out unit that features two bins with a cover. It is available in classic white and has been is designed to fit our left or right hinged 45cm base units. Measuring 490mm (d) x 360mm (w) x 340mm (h) and weighing 6kgs, the waste and recycling bin is large enough to house up to 15L of waste items. This bin will make your waste problems a thing of the past. This bin is made from the highest-grade materials to ensure it can withstand years of substantial usage. Thanks to the pull-out mechanism of this unit, you can easy discard your kitchen waste, leaving your kitchen spotless at all times. The best part about this waste and recycling bin is that it is currently available at an unbelievable bargain on Ross’s Discount Home Centre. So what are you waiting for? Buy this 15L waste and recycling bin today!